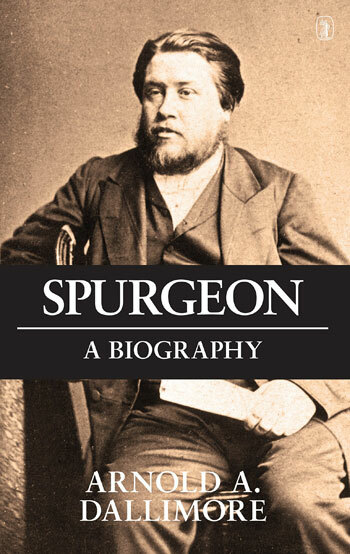 I recently finished Arnold Dallimore’s biography of Charles Spurgeon, the Baptist preacher known as the “Prince of Preachers.” If you’re familiar at all with Spurgeon, you’ve likely heard about how gifted of an orator he was or how effective he was as an evangelist. While those traits certainly did characterize his life and ministry, there are two other traits that struck me as I read through the biography. Charles Spurgeon had notoriety in this world that few, if any, pastors have ever experienced. He preached before millions of men and women, had his sermons circulated across multiple continents, and trained up an army of pastors who viewed him much like a spiritual father. In addition, the Baptist minister earned a fortune through the sales of his writings and the income generated by his speaking engagements. Many pastors have drunk deeply from the poisonous springs of arrogance with far less popularity and influence than that of Spurgeon. Yet, the sense that I get from reading about Spurgeon’s life is not hubris, but a deep-seated humility. One clear example of Spurgeon’s lowliness came when he was offered the teaching pastor position of New Park Street, the church in London that Spurgeon pastored for basically his whole ministry. The young preacher, who was only nineteen at the time, had originally agreed to come to New Park Street on a three months’ basis, but church members quickly urged Spurgeon to stay permanently as their pastor. Nowadays, when pastoral candidates are speaking with a church, the flesh can make a man seem like they are near perfect. They speak of success in past ministries and of dreams for the future of this church. Yet, here we see a teenager begging for prayer, and warning that his youth will likely result in poor choices occasionally. The fruit of Spurgeon’s humility was a reliance upon prayer. Seeing our sin in light of God’s infinite power and holiness leads to an acute awareness of our humble state, which leads to reliance upon prayer. Spurgeon’s life is a testimony to this golden chain of Christian humility. It is so easy to focus on the man’s outward gifts and miss the passion and dependence upon prayer. We must not miss the implication here: We cannot expect to have a Spirit-empowered ministry if we do not possess a prayer-soaked ministry. Spurgeon’s humility expressed in prayer should be applauded by us who stand upon his shoulders, but it should also be a characteristic that we pursue wholeheartedly. Our time and culture are different than Spurgeon’s day in many ways, but we still deal with the same struggles. The folks in his day, just like those in our day, too often focused on the outward without a thought about the pastor’s character. All of the recent pastoral scandals are symptoms of our unhealthy fascination with a minister’s external gifts. What we need today in evangelicalism is not an army of preachers as gifted as Spurgeon. Rather, we need an army of leaders whose character is marked by deep humility that is demonstrated by a devotion to prayer, both private and public. This article was originally posted on Cody's blog, and is used by permission. At age 22, as a very young senior pastor of one of the first-ever mega-churches, Spurgeon and his church underwent a terrible tragedy. Throughout his life he struggled with depression. To counteract that depression, he preached much on happiness and was very quick to laugh.